It doesn't get much better than Arizona when it comes to retirement. Endless sunshine and an assortment of amenities in retirement communities make living here a wonderful experience. 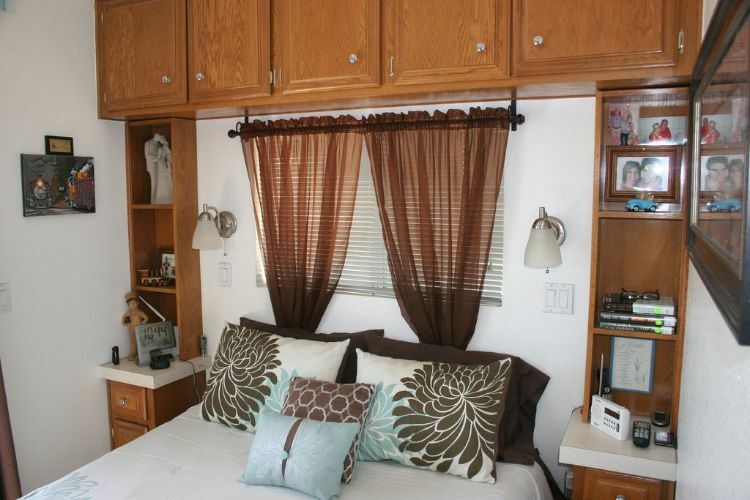 It also helps to have a comfortable park model with an updated interior. 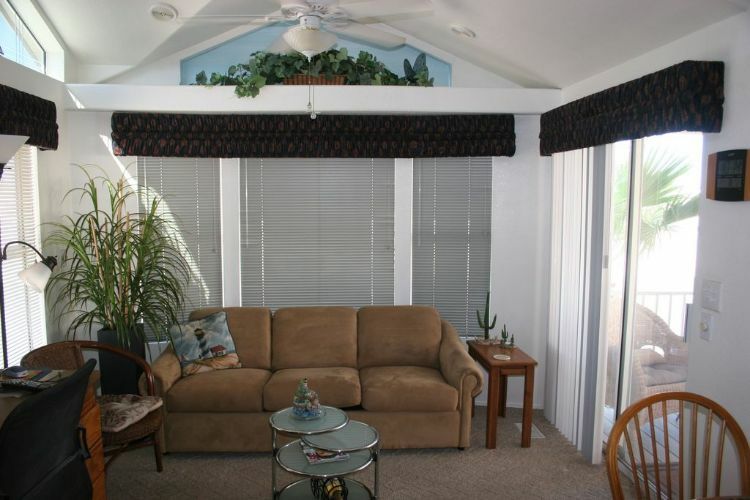 The tastefully modern interior of this 1996 park model provides you with everything you could ever need in a retirement or seasonal home. We love the awnings over the windows in particular. They're your saving grace on hot days when even the air conditioner can't keep up, although the unit on this park model won't quit anytime soon. The living room's clean lines and lofty cathedral ceilings give it a serene feel. Aren't those glass nesting tables just darling? High up on the walls, extra storage space can be found. 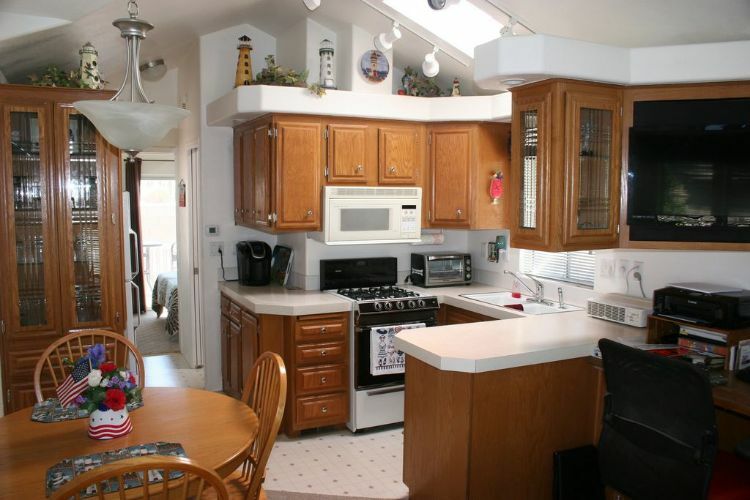 The kitchen is unusually spacious for a park model. Not only does it have room for a four-seat dining table, but the breakfast bar has an office space on the other side of it. There's a lot going on here! Can you see yourself having the best night's sleep of your life in this queen bed? We can! A ton of shelving and storage space just adds to the charm. The bathroom has one of the best layouts we've seen. 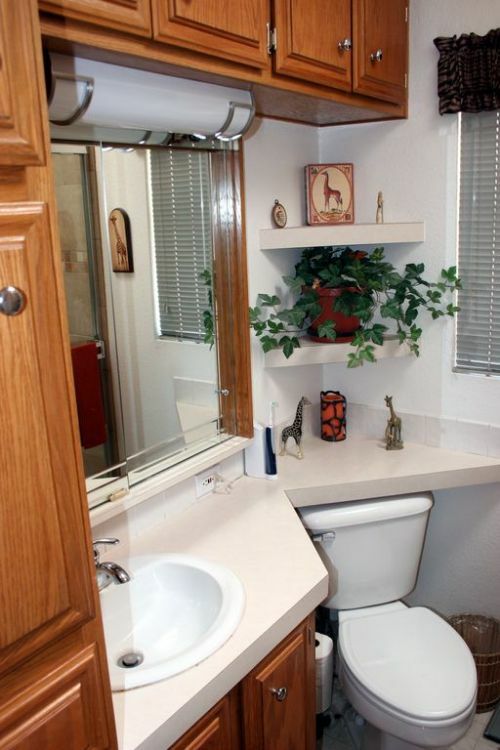 The designers angled the toilet, not only freeing up floor space, but also making way for corner shelves that can hold more stuff. 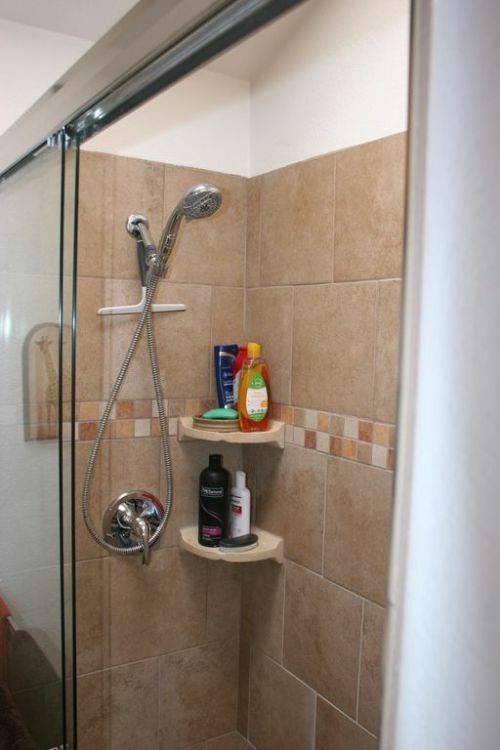 The tile shower is brand new and features sliding mirrored doors. Nice. 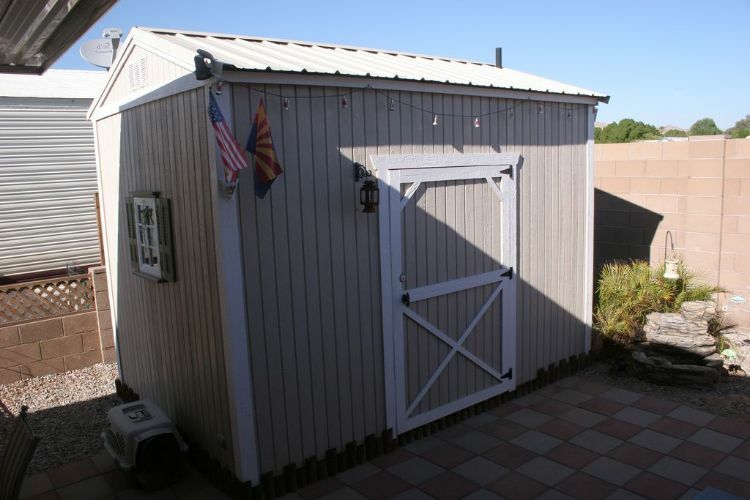 A cozy little storage shed out back lets you pack away unused items and keepsakes while protecting them from the hot Arizona sun. 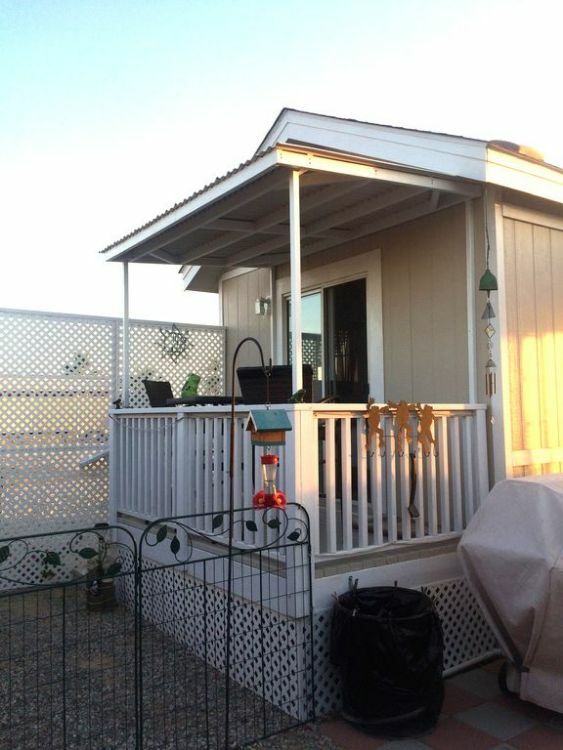 You'll have your own private backyard patio when you purchase this park model. It's nice and shaded, allowing you to enjoy your evenings free of the sweltering sun. If you enjoyed viewing this park model, go ahead and share it on Facebook and Twitter. 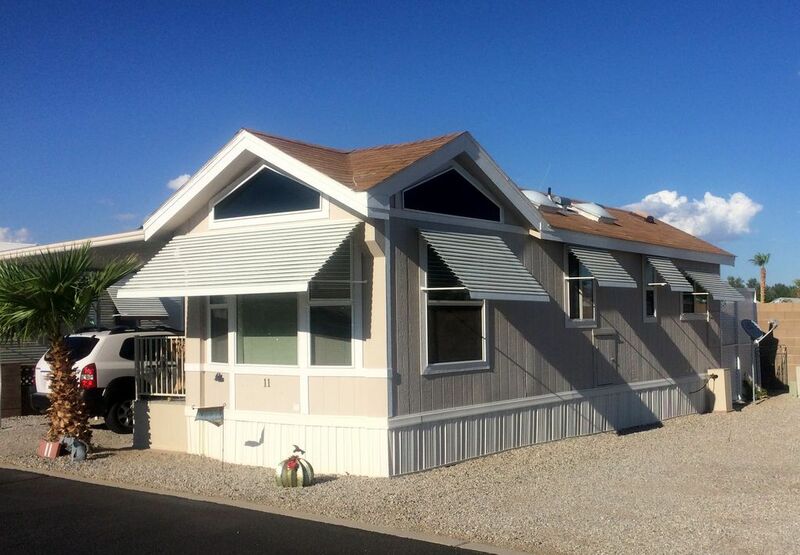 Make sure to like our Park Model World Facebook page to see more properties.